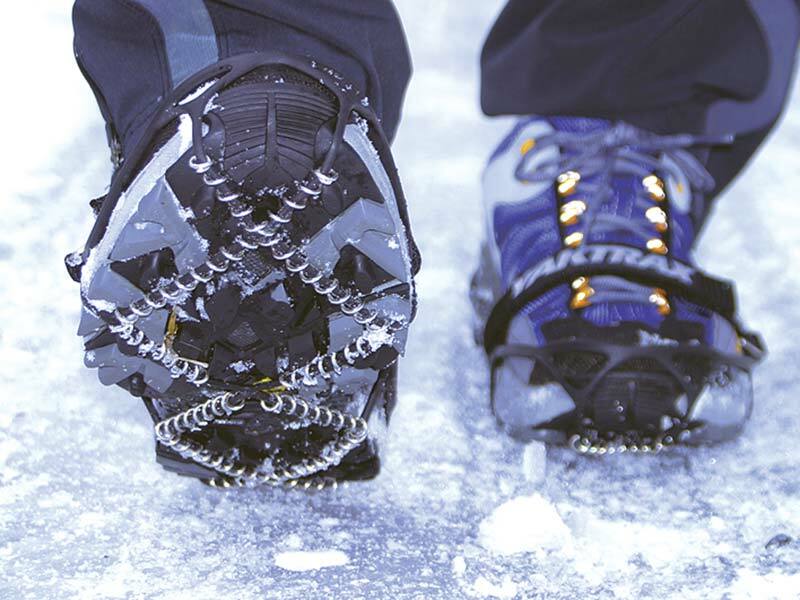 Yaktrax Pro keeps you on the feet when you don’t have skates with you. Sub zero temperatures interspersed with rain left our pastures looking more like skating rinks than places where horses live. Just walking to the barn meant risking a total wipe out and I came really, really close a couple of times. The solution? Yakstrax Pro. These things are amazing. Strap them onto your boots and all of a sudden walking, not sliding is once again possible. Now, if they only made them for horses! Actually, ours are doing pretty well — they are barefoot and taking it slow. They are smart and not in a hurry.